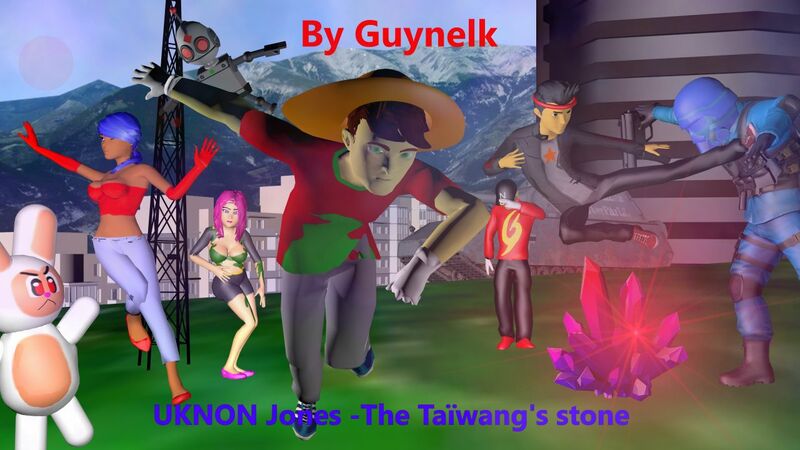 By Guynelk is an independant studio where I develop games myself of the serie UKNON Jones. UKNON Jones is a serie inspired of a comics drawn which I had make for the middle school. It was the story of an young archaeologist who spent his days to look for treasures with his bestfriend Max. To get his own way, he crossed often diverse obstacles and fought with more and more formidable enemies. Concerning the gameplay, it is a game in 3D. The player can move freely and jump to overcome obstacles or evade attacks enemies. We can also attack with his fists and his feet with a combo to destroy enemies or destroy obstacles. There are sometimes riddles to be solved to be able to continue the way and certain enemies need in a specific way to destroy them. What inspired me to create this game (gameplay, game design) are the games of the license Nintendo, for example Super Mario 64 or The Legend of Zelda: Ocarina of time.